This provides the platform for a positive and constructive personal learning journey. People learn to identify their primary profile: Counselor, Coach, Driver or Advisor. They develop awareness of their own strengths. and learn how to adapt according to the profiles of other people. The perfect report to open minds, and get everyone on the same page. 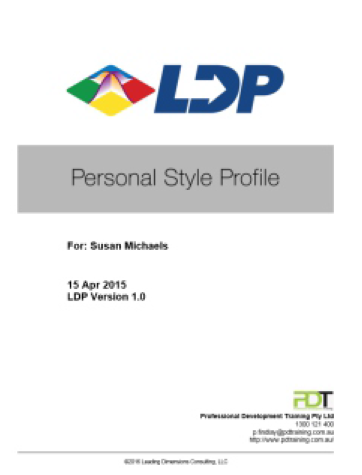 It is written in plain English, using a positive tone whilst including coaching points. 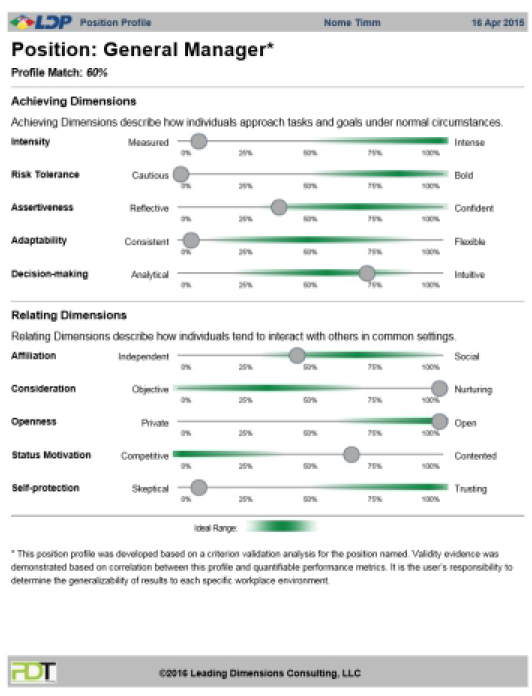 This tool is gives new and seasoned leaders insights into their own strengths, and how their unique style impacts people in their team in different ways. People learn about their situational leadership strengths, and discover how to adjust their approach for maximum impact in different circumstances. 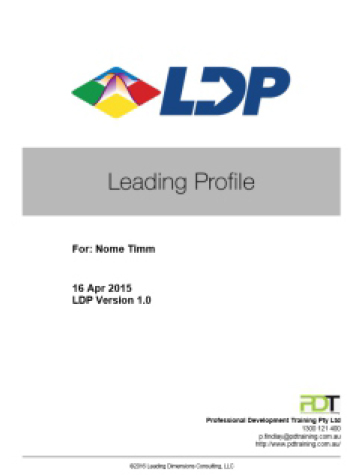 This report helps accelerate the journey to becoming an adaptable effective leader. It is designed for use by coaches, for people's independent self reflection, or as part of leadership training courses. 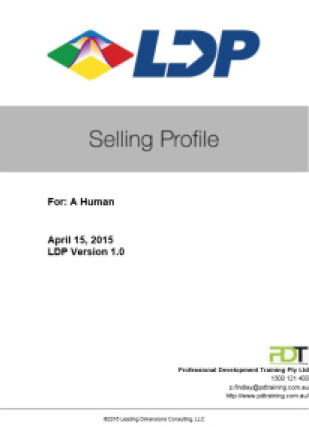 The Selling Profile highlights people's natural strengths and coaching points. The strengths are designed to help the sales manager and individual sales people make the most of the existing strengths to win the most sales immediately, and then highlight the highest pay off areas to focus on coaching and grow results as quickly as possible. This report improves Sales Training, Coaching and is a powerful tool for people looking to optimise their sales results. 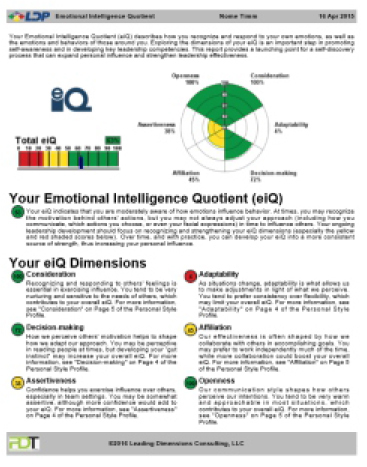 A persons eiQ is relevant in all of the contexts above, this one page report is designed to work in conjunction with all of the above reports. It's short, simple and visual - designed for people who want some quick insights about their strengths and development opportunities in general interactions with people. This is the perfect deep dive report for team leaders that want to understand how different people in their team will likely respond to different circumstances. This also provides a list of potential strengths and challenges for each personality type. This report is great to use when planning the composition of teams and committees, and to be able to make sense of behaviours or responses you didn't predict from team members. This simple visual identifies each persons personality type, and provides bullet points of the contrasting ways the different personality types approach life and situations. This is an excellent platform to build any group communication, conflict resolution or team building day or activity on - it opens minds, and begins constructive dialogues. 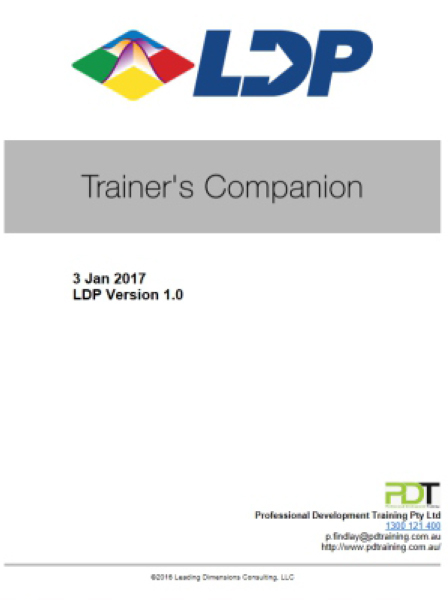 The trainers companion is a unique tool that helps trainers prepare for each audience by describing how to deliver the introduction, the main content and activities throughout the course. It also provides facilitation tips based on the individuals in the room, to help ensure you optimise the outcomes for everyone, and give everyone a rewarding experience. If you ever wanted the magical tips to ensure you can get every session to connect and engage the audience - this is the tool for you. 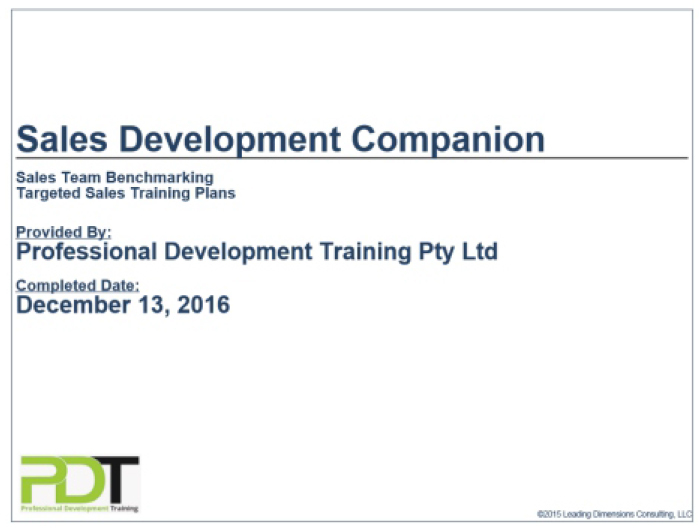 The sales development companion identifies the personality traits of each person in your sales team, and contrasts them to the attributes of the highest performing sales people. This takes the guess work out of some aspects of sales management. 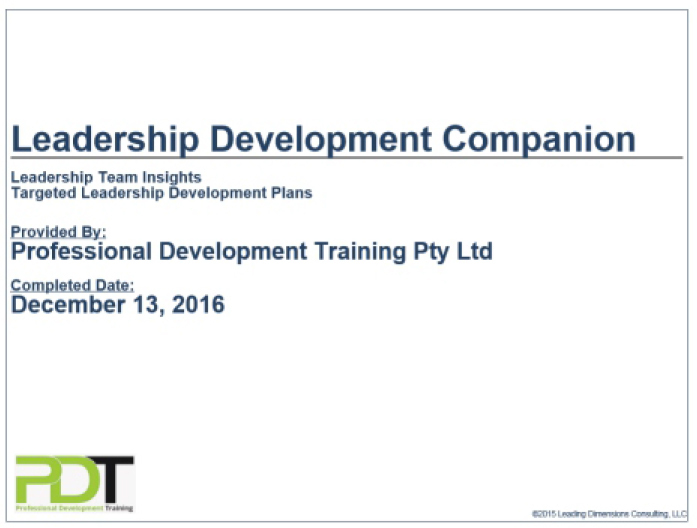 The leadership development companion helps leadership teams develop awareness of their balance or skew, and what that means for interactions between each other, the rest of the business and their strengths and gaps as a leadership cohort. 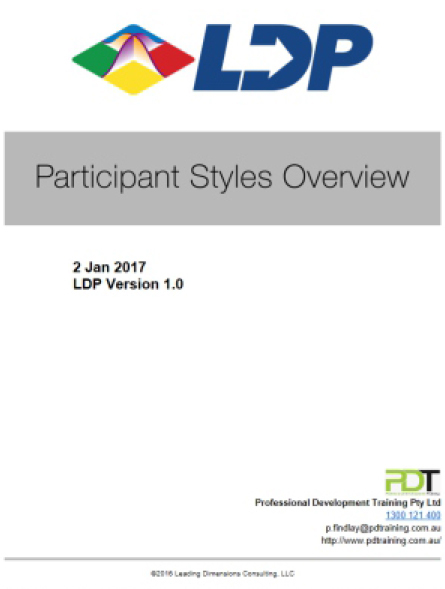 This is the perfect too at add a leadership professional development angle to a Leadership session or to help develop the leadership development plans for any sized organisation. Scientifically validated using research across the world and 1000's of data points, these simple to use visual reports show how an individual's 10 personality dimensions align with or differ from those of the most consistently high performing people in equivalent roles. These are a great decision support tool, and when used in conjunction with your other recruitment processes and the context of your organisation, can speed up and improve the reliability of your recruitment process. As used by successfull organisations to ask 'would you recommend us to a friend' - which is recognised as the metric that truly matters, PD Training can provide the equivalent service to run anonymous NPS internally that asks 3 questions - would you recommend us as a place to work?, do you feel appreciated?, are you driven to help the team and our clients? Three simple questions that speak volumes about the motivation, commitment and tenure of your team. Best for strategic HR includes periodically taking the temperature of the workforce culture. 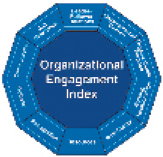 The organisation engagement index is an easy to implement tool with instant reporting, that provides clear visual data from across the business. This tool is as simple and graphical as it is powerful. 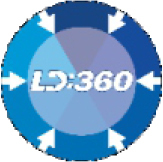 360 feedback are tremendous diagnostic tools that provide opportunities for personal growth for team leaders and for organisations to put energy into the right activities in the right teams to ensure the best possible commitment and performance.